Amy Kline is a litigator with extensive trial experience in federal and state courts, as well as before private arbitration panels. She has tried to verdict more than 20 litigation and arbitration matters, and argued before federal and state courts of appeal. 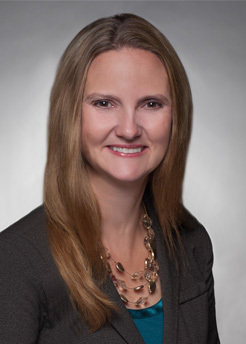 Amy has particular experience representing insurance and reinsurance companies in complex civil litigation matters. Amy is also lead litigation counsel to an international electronic media retailer, for whom she prosecutes and defends breach of contract, fraud and commercial litigation claims. Amy also represents clients facing large-scale investigations, including responding to governmental investigations. She played a key role in Saul Ewing Arnstein & Lehr's representation of a major public university in investigating and responding to preliminary findings made by the U.S. Department of Education as to the university's alleged violations of the Jeanne Clery Disclosure of Campus Security Policy and Campus Crime Statistics Act. Amy has also represented this university in responding to a Title IX compliance review and other civil litigation matters. In addition to her legal practice, Amy is an adjunct professor of law at Villanova University School of Law, where she teaches courses on civil pretrial and judicial externships. Amy is an avid runner and triathlete. She has competed in numerous marathons, half marathons and multi-sport endurance events, including Ironman Lake Placid 2014. Munich Reinsurance America, Inc. v. American National Insurance Company: Representation of reinsurer in action against retrocessionaire for liabilities arising from workers' compensation insurance. Obtained judgment in favor of the reinsurer following nine-day bench trial. Judgment affirmed by the Third Circuit. No. 14-2045 (3d Cir. Feb. 3, 2015); 999 F. Supp. 2d 690 (D.N.J. 2014); 893 F. Supp. 2d 686 (D.N.J. 2012). Representation of insurer in ERISA litigation matters filed in mid-Atlantic, addressing group benefit plans, disability insurance and life insurance. Confidential arbitration on behalf of managing general underwriter relating to wrongful termination of business relationship. Confidential arbitration on behalf of insurer relating to coverage pursuant to managed care agreement. Representation of reinsurers in arbitration matters relating to claims under a cut-through endorsement, variable annuity death benefits, and insolvency. Representation of cedents in arbitration matters involving issues of coverage, notice, waiver, prejudice, the duty of utmost good faith, good-faith settlement payments and applicability of follow the fortunes. Counsel to higher education institutions on Clery Act and VAWA compliance issues, including coordinating responses to program reviews, reviewing Annual Security and Fire Safety Reports, and developing policies and procedures for compliance. Counsel to higher education institutions on Title IX, including responding to compliance reviews initiated by the Office of Civil Rights of the U.S. Department of Education. Counsel to university in civil litigation matters on issues including allegations of sexual assault or abuse and internal governance. QVC, Inc. v. MJC America, Ltd.: Representation of electronic media retailer in action against vendor for defective merchandise. Obtained full judgment in favor of the retailer, including attorneys' fees, following five-day bench trial. 904 F. Supp. 2d 466 (E.D. Pa. 2012); 2013 WL 3976043 (E.D. Pa. Aug. 5, 2013). Representation of a bankruptcy court-appointed independent examiner investigating creditors' allegations of wrongdoing in the $3.6 billion leveraged buyout of the Tribune Company. Representation of an SEC-appointed independent examiner investigating Time Warner/AOL's historical accounting for online advertising revenues, which led to a revenue restatement of over $500 million by the company. U.S. Horticultural Supply, Inc. v. The Scotts Company: Representation of a publicly-traded horticultural products company in several cases involving allegations of monopolization, attempted monopolization, breach of contract, fraud and breach of fiduciary duty. Obtained summary judgment on behalf of horticultural products company, and affirmance by Third Circuit. 367 Fed. Appx. 305 (3d Cir. 2010); 2009 WL 89692 (E.D. Pa. Jan. 13, 2009); 2005 WL 1693933 (E.D. Pa. July 20, 2005). Freethought Society of Greater Philadelphia v. Chester County: Represented county on appeal before the Third Circuit following order mandating that county remove historic Ten Commandments plaque from façade of courthouse. Obtained reversal from the Third Circuit. 334 F.3d 247 (3d. Cir. 2003).